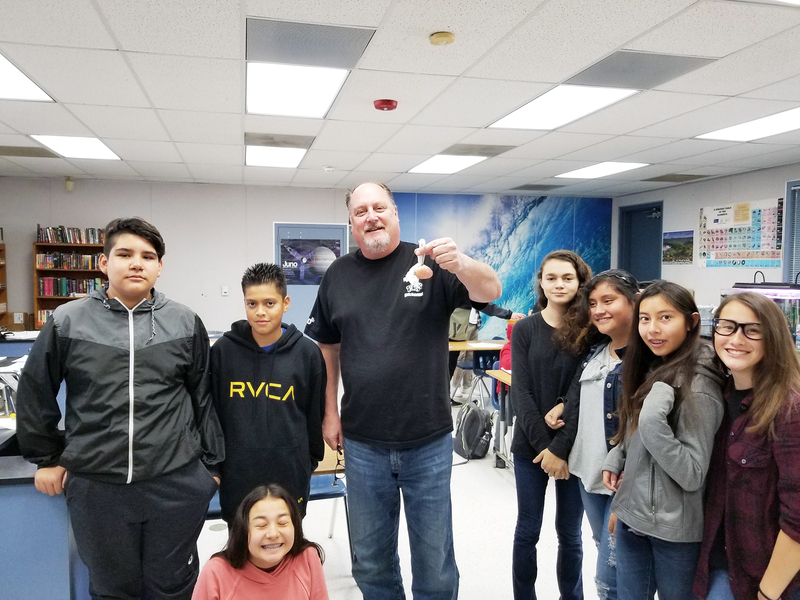 Eighth grade science teacher at Rincon, Bruce Peterson holds up trout eggs that were delivered to his classroom’s aquariums several weeks ago. 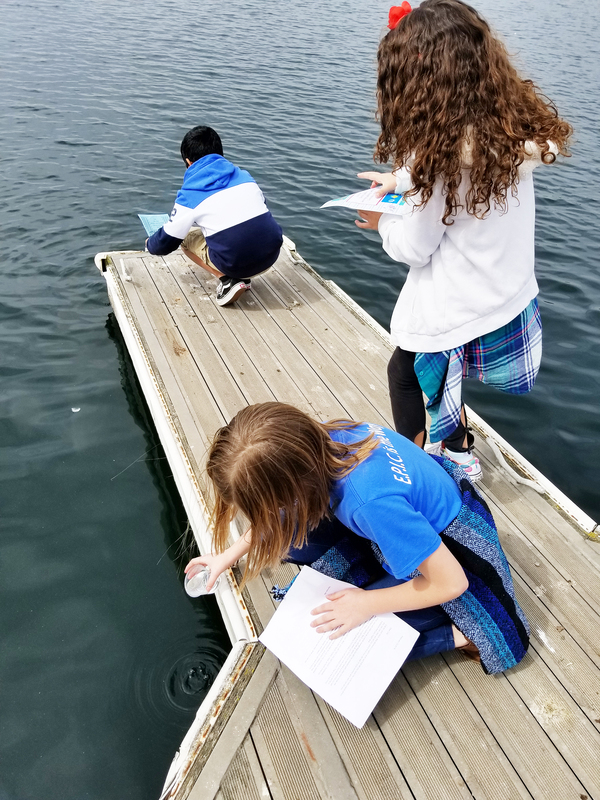 Over the next month, North County schools will be releasing classroom-raised trout into Lake Miramar to conclude the Escondido Creek Conservancy’s Trout in the Classroom program. Thanks to sustained funding from SDG&E, the program has expanded over the years. When it was first funded in 2016, it launched in three schools. Now, in 2019, the program has aquariums in nine schools throughout North County. The students will have raised the fish in their classroom for eight weeks. During this time they watch them hatch in their aquariums, then see them transform from larvae into competent swimmers as juveniles, before releasing them into the wild during a field trip to Lake Miramar. Rincon Middle School students release trout that they raised into Lake Miramar. While releasing in Lake Miramar is nice, they would prefer to release the trout into the Escondido Creek watershed someday. The Trout in the Classroom program is full of valuable lessons. Not only do students learn to raise and care for a delicate living thing, they also learn what this species needs to survive. In doing so, the children discover the importance of watershed health, and they become motivated to engage with the world around them as they become advocates for Escondido Creek. “While releasing in Lake Miramar is nice, we’d prefer to release our trout into the Escondido Creek watershed someday. Southern steelhead trout were once abundant in Southern California creeks and rivers. Sadly, habitat degradation has decimated their population. Human impacts like runoff, litter, dams, drought, and climate change have pushed this species to the edge of extinction,” said the program’s Education Manager, Simon Breen. State regulations control where trout releases can occur and, at the moment, release into the Escondido Creek watershed is not allowed. The Conservancy hopes to change those rules in the future. “Even if the water quality conditions were perfect, trout in the Escondido Creek would be unable to freely move up and downstream due to barriers in the creek. But with a new generation of youth in our community becoming savvy about watershed health thanks to this program, we’re optimistic our future will feature a trout-filled Escondido Creek,” said Breen.